Chefs cooking up a food revolution in Portsmouth, N.H. The Portsmouth restaurant scene is flourishing. PORTSMOUTH, N.H. — It’s a rainy Saturday night and there’s an hour and forty-five minute wait for a table at Moxy, a bustling American tapas restaurant known for its goat meatballs, short-rib marmalade, and other creative small plates. You could get on the list for a seat at the packed bar. But that’s an hour wait. If Portland, Maine, was the new Boston when it came to New England’s next burgeoning gastro scene, then Portsmouth is the next Portland, a small city hungering to enhance its renaissance through top-tier, farm-to-table dishes such as cornmeal crusted skate wing tacos served recently. Locals and visiting diners crowd into Moxy because they have heard of chef Matt Louis, who was under consideration this year for a prestigious James Beard Foundation award, or eaten some of the dishes he concocts with New England ingredients. But Louis wasn’t running the only busy restaurant on a dreary off-season evening in or near this coastal tourist town. There’s Cava Tapas & Wine Bar next door, Black Trumpet Bistro down the road, and Stages at One Washington operating about 20 minutes away in nearby Dover. The small port city is attracting big-city restaurateurs who see an opportunity for Portsmouth to emerge on the New England culinary map. 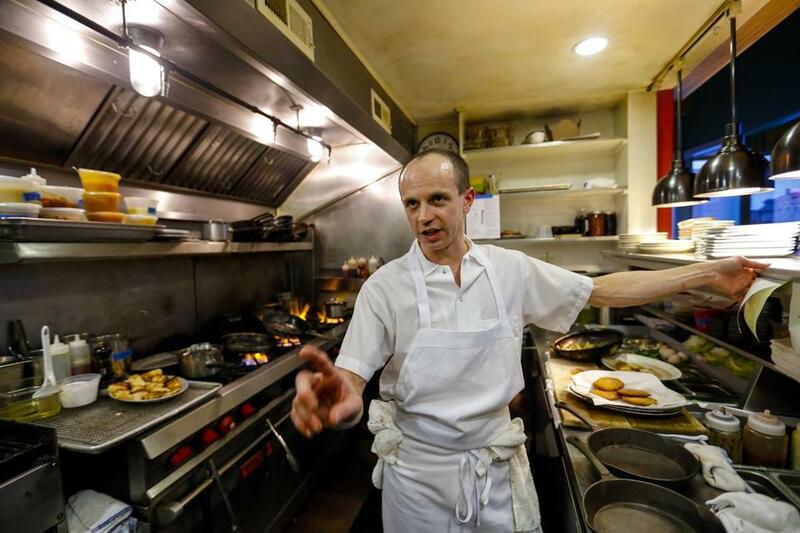 Louis is part of a tight-knit group of local chefs feeding the area’s surge in prestige. In the last two years, Portsmouth and Dover have produced three James Beard semifinalists, vying for national restaurant awards considered the Oscars of the dining industry. Now the small port city is attracting big-city restaurateurs who see an opportunity for Portsmouth to emerge on the New England culinary map as a major dining destination half way between Boston and Portland. Harker said “here” because he and his partners plan to expand outside of Boston for the first time and open a Row 34 oyster bar in a new development in Portsmouth in May. Harker noticed Portsmouth the hard way as some of his employees, drawn by a lower cost of living, quit to take jobs there. “We joke that it’s the place where some of my young people have gone to retire,” he said. The Boston restaurant owner isn’t the only one expanding into Portsmouth. Two well-known Portland chefs intend to open a vegetarian bistro there this summer. Louis and business partner Jay McSharry will open another restaurant, the Franklin House Oyster Bar, a few blocks from Moxy this spring. The potential economic impact of a vibrant restaurant scene is on full display in Portland, just an hour north of Portsmouth. Restaurants there began to attract similar national attention about 10 years ago, said Chris Hall, chief executive of the Portland Regional Chamber of Commerce. 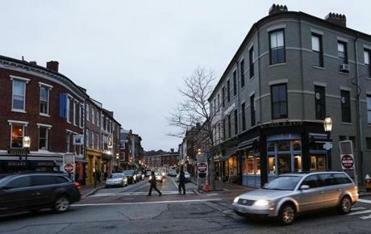 Now Fore Street, Central Provisions, and Street & Co. are regarded as among New England’s best. Portland’s restaurant scene has boosted the local economy, added jobs, and helped increase tourist spending in the city, Hall said. “It creates a cultural vibrancy that attracts people from all over the world and all different parts of life,” he said. Mayor Robert Lister of Portsmouth hopes to see the same impact. “We’re pleased with anything that will help the economy,” he said. Portsmouth’s culinary reputation has been held back by the food business facts of life in a seasonal tourist town. Many established restaurants play it safe by serving fried fish and lobster rolls visitors want three months a year. “It had been a scene, but in many ways a boring one,” Evan Hennessey of Stages at One Washington said. But the local culinary movement didn’t happen by chance. Louis and Hennessey recalled a conversation in which they discussed ways to help boost the local dining experience with Gregg Sessler in 2010. 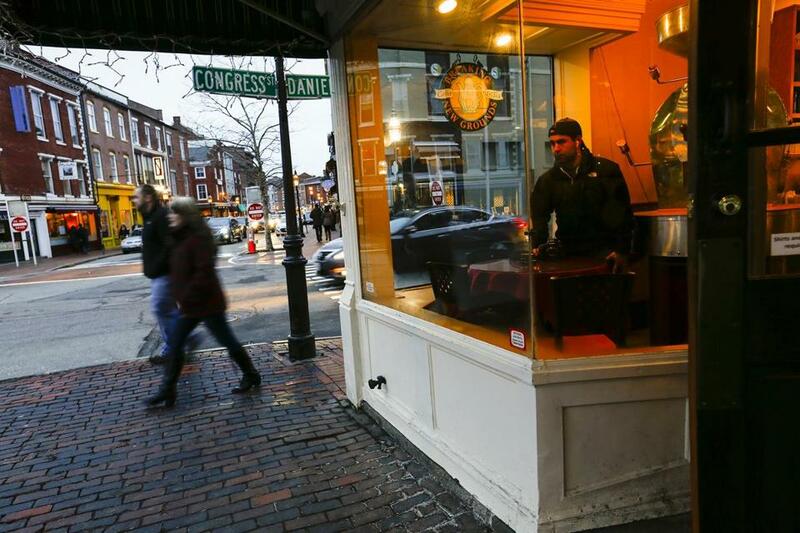 At the time, Louis and Hennessey were cooking at an event with Sessler, who had opened a modern Spanish small-plates restaurant, Cava Tapas & Wine Bar, two years earlier in Portsmouth. Sessler was aggressively doing things “that people hadn’t seen around here” and was the first to break away from a typical menu of appetizers, entrees, and desserts, Louis said. Evan Mallett, a three-time Beard semifinalist chef and owner of the Black Trumpet Bistro, was also pushing the envelope with a menu of local and often unorthodox ingredients. Matt Louis, chef and co-owner at Moxy Restaurant in downtown Portsmouth. As Louis remembered it, the chefs agreed it would take more than a couple experimental restaurants to develop a critical mass of notable establishments. “If there’s three or four of us, we might be able to really get this energy going,” Louis said he thought at the time. About two years later, Louis and Hennessey opened their own restaurants and quickly drew attention. Local chefs point to a willingness to work together and to good relationships with local farmers and fishermen. Chefs from around the region present dishes at events hosted by Hennessey, seeking advice and opinions from their colleagues. Despite all the recognition, critics and chefs agree Portsmouth still isn’t quite a fine-dining mecca. They say more restaurateurs like Boston’s Harker will have to notice Portsmouth before the scene really takes off.